I was just shy of 20 years old as the countdown proceeded. 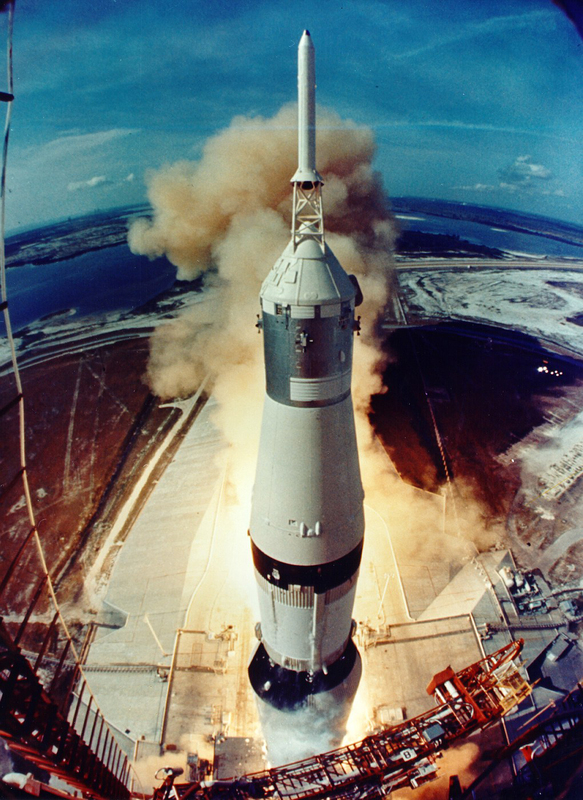 Home from college for the summer, I sat in my living room in Huron, Ohio, mesmerized by the moving phosphors as the Apollo/Saturn 5 rocket—to my eye the most beautiful creation in human history—steamed and fumed and all but stamped its feet with impatience. The phone rang. A friend had a proposal: if we jumped in the car right then and headed for Florida (a 30-hour drive), we might just make it to the Cape in time to watch the launch in person. This would require my commandeering a family car without my parents’ knowledge or permission, as neither was at home, and cell phones were still science fiction. That might not have been enough to stop me. What did stop me was this thought: if we were delayed or ran out of cash on the way (all too likely), we’d miss the launch altogether. That thought was too much to bear. I watched the launch on TV from home. Glorious! Saturn 5 climbs a pillar of fire into the sky! My God. That was our destiny, humanity’s destiny, to ride fire to the stars! (To this day, I cannot watch the replay without chills in my spine. The same goes for: “Tranquility Base here. The Eagle has landed.”) Once those brave, lucky astronauts were safely en route, I settled in for the long watch. 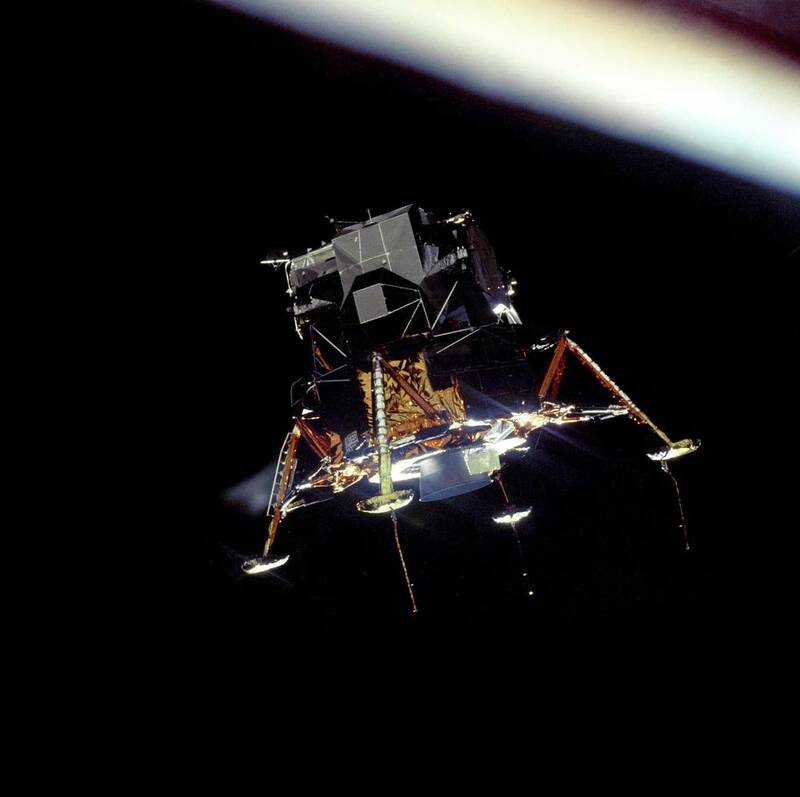 Finally came the landing, and the footsteps on lunar soil, which I would not have missed if the house were on fire. But I had an unanticipated difficulty: Do I watch Walter Cronkite on CBS, with Arthur C. Clarke as guest, or John Chancellor on NBC, with Robert Heinlein? Aaahhh! With no remote, I kept leaping to the set to wrench the knob from one station to the other. What a satisfying crown to the occasion: two of my science fiction heroes, called upon to comment! I already knew then that science fiction would impart a crucial direction to my life. But what a triumph, what vindication! *Me again, in the present. It still feels like yesterday.